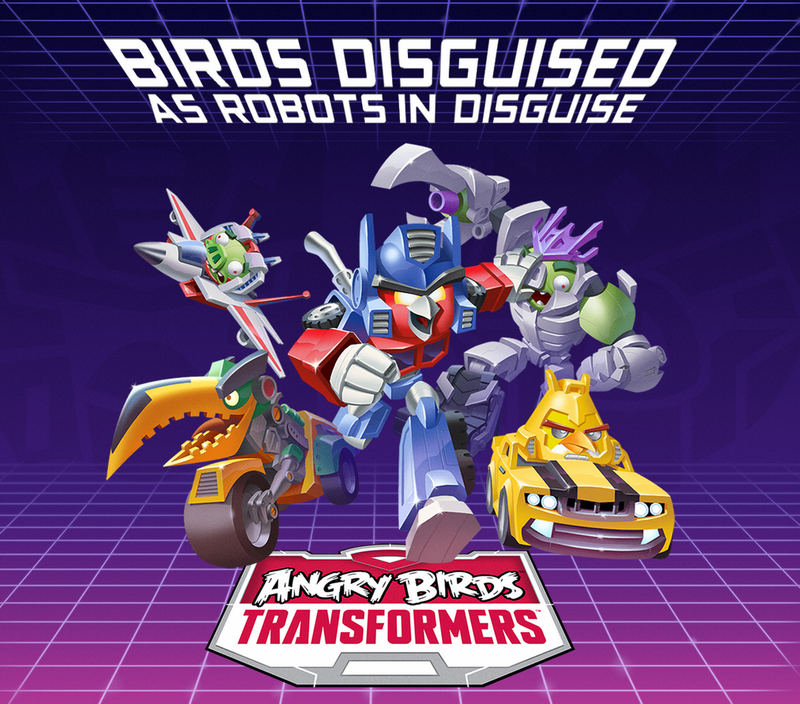 Angry Birds Transformers, and epic shooter game, out now on IOS and Android! Its finally here! The moment we've all been waiting for... Angry Birds Transformers is now out on both Android and IOS devices and tablets! Awesome right? The game even allows you to "invite"
random people to your game to help you win a level. Plus, you don't even need to be connected to Facebook of Wi-Fi to do so! he wants to spend it on Angry Birds Transformers Telepods. They also have Angry Birds Transformers Jenga sets, similar to the Angry Birds Go! Jenga sets. In most of them, you put the bird or pig in the car and launch it at the structure. I found out that the same thing applies to a lot of the AB Transformers Jenga sets. And do you know that AB Go! Telepods Pig Rock Raceway set? Well, I remember seeing a image of an AB Transformers Telepods Optimus Prime Raceway online. When you press the tap the "transform" button, you transform into your vehicle to dodge obstacles and get to the goal faster. Well, it's a great game, and I recommend this game to any Angry Birds/Transformers fan.